We are well into the 4th Quarter of the year, so it’s another good opportunity to review, revise, and to release creativity! Where do you find yourself in reference to the goals you set out to accomplish this year? As you review your goals you may find that you were very specific on some and too vague on others. For those that you find are too vague, I suggest that you break out one specific task that you can accomplish this year towards the achievement of that goal. And, for those specific goals that haven’t yet been realized, I suggest creating or refining the action plan, then set yourself on a schedule to complete a few more of those action steps before the end of the year. What about your financial goals? Are you close, hitting the target, or falling short? Sometimes changes in your life can trigger a need to make adjustments to your financial goals. For instance, for the past two months I have felt the financial strain and the effects of having three sons in college at the same time, which has pushed me to become a bit more creative in creating cash on demand. I reviewed all assets and investments for gaps, and am making adjustments to close a lot of those gaps to position myself for a strong year end. If you havent’t met you financial goals for this year, it’s time to Release Creativity for Cash. Evaluate your assets, investments, spending, and saving patterns. Then make appropriate adjustments as necessary. 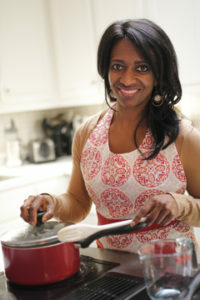 You could even stir up creativity using one of your skills or talents and create something new to sell for cash. Last year, Myron Golden was a guest on my Inside Out Living Show. In his own unique style he provided insight on how to, “Create Cash On Demand.” The recorded audio is now posted and available on my Podcast (Inside Out Empowerment with Rachel Moore). Within your Podcast App, search for my Podcast and subscribe. 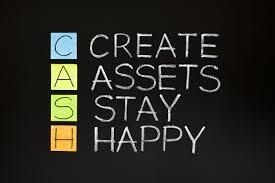 Then listen to Parts 1 & 2 of “Create Cash On Demand.” Links to listen online are provided below within the Inspiration Station of this Newsletter. 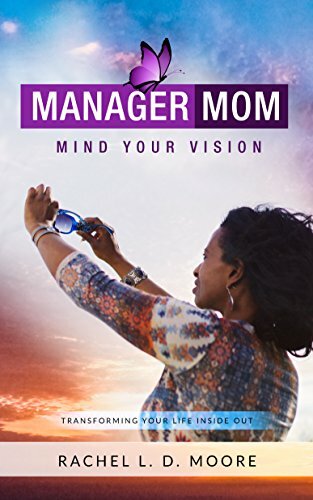 In my latest book “Manager Mom: Mind Your Vision,” the “Think Outside the Box” section I share some creative ways to create cash or to get what you need done without the use of cash. It’s time to get creative with your mind, with your time and with your cash. Learn the distinctive levels of creativity for your benefit.